Come visit West Broward Auto Repair in Sunrise! We are proud to specialize in Auto Repair. As the premier auto repair shop in Sunrise, our ASE Master Technicians take great pride in supplying: Engine Repair, Brake Repair, Transmission Repair, and Auto Electrical Service. 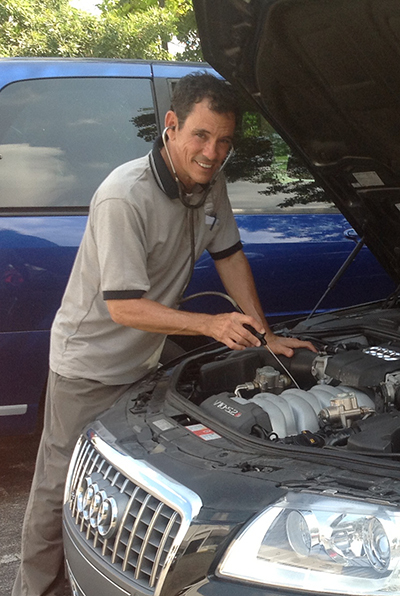 Each of our reliable specialists undergo extensive automotive repair training to meet all your auto repair needs. The maintenance experts of West Broward Auto Repair have been honored to serve Sunrise for the past 30 years. While we focus on Auto Repair, Engine Repair, Brake Repair, Transmission Repair and Auto Electrical Service, we also provide a long range of other auto repair services listed on our services page. Our auto repair experts have built our reputation by providing consistently superior service here in Sunrise, operating with the same owner since 1994. No matter what your vehicle needs, come see us at West Broward Auto Repair today! From Brakes to transmission to engine work, we are the best one stop auto repair shop in Sunrise. We provide trustworthy, fast, reliable, and quality work at the right price. Dont just pass through; come see us for any of your auto repair needs. "They treat you like a person rather than a number.They.."
"Honesty and quality... When you look for a mechanic that's.."
"My experience with this company has been a lot of.."
"Dont go anywhere else, old school mechanics that care about.."
"A friend recommended West Broward Auto Repairs to me and.."
"Absolutely the best most honest place to get your vehicle.."
"Very high quality service. It was an awesomely good experience..."
"If you are looking for a reliable, honest mechanic -.."
"I've been servicing my car here for 10 years. (A.."
"Reliable and honest! Great staff." "Honest, Fair and they do a great job. It was.."
"I have been using West Broward Auto Repair for 13.."
"the service is fast, excellent, fairly priced and the best.."
"Excellent overall: skilled work, competent, trustworthy,"
"I met with the owner concerning a few issues involving.."
"West Broward Auto Repair's quality of work and customer service.."